To add a new booking, follow the steps given below. 2. 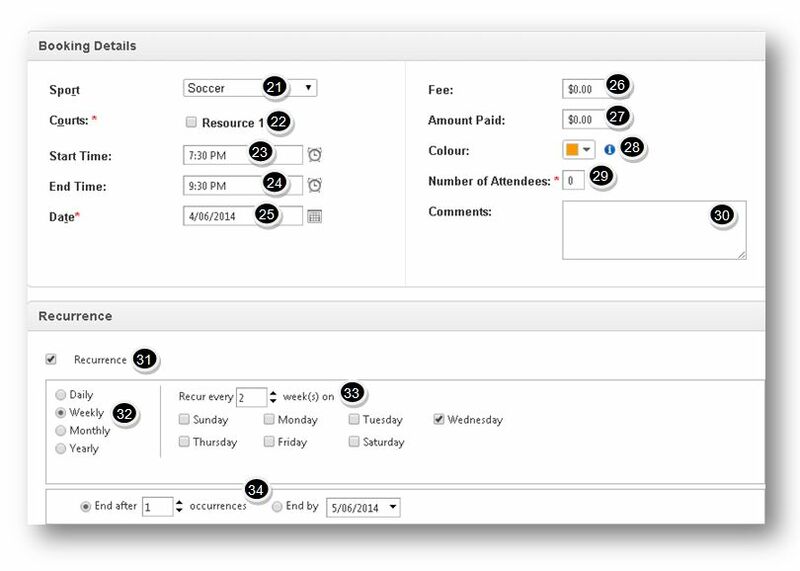 Select the New Booking option from the Actions drop down list. The Booking section of the page will be displayed. Note: The system will check if the customer already exists or not. 3. If the customer already exists, check box in the Existing Customer option. The Booking screen will be displayed. 4. 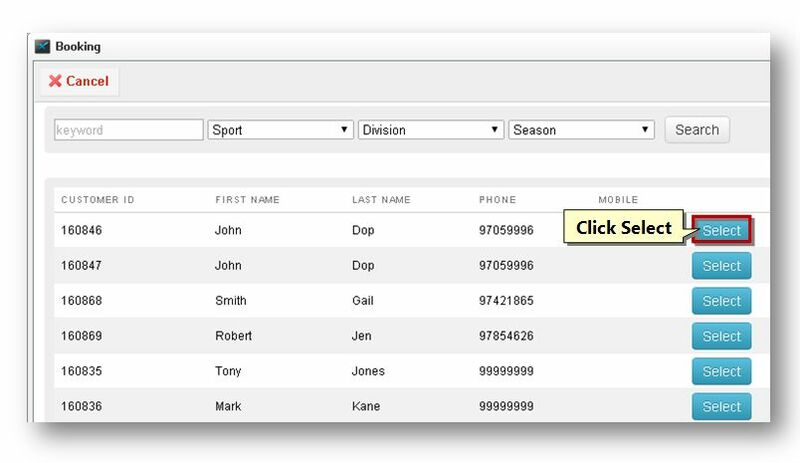 Select the customer by clicking the Select button in the row of the customer that you wish to add from the list. The details of the selected customer will be added to the booking section. 5. If you wish to add a new customer, check the box in the New Customer option. 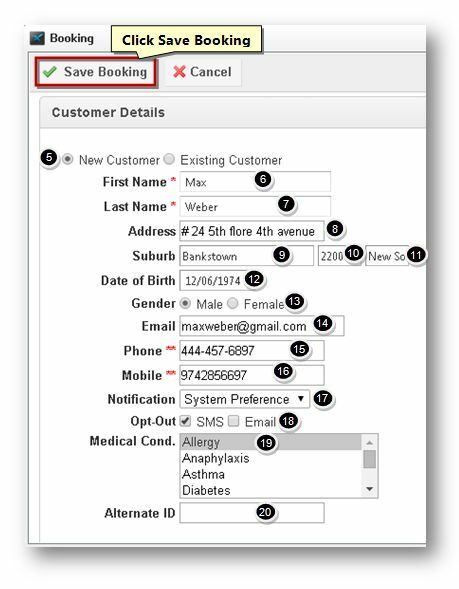 The fields to enter the customer details will be displayed. 6. Enter the first name of the customer in the First Name text entry box. 7. Enter the last name of the customer in the Last Name text entry box. 8. Enter the address of the customer in the Address text entry box. 9. Enter the name of the suburb area in the Suburb text entry box. 10. Enter the pin code number in the PCODE text entry box. 11. Enter the name of the state in the State text entry box. 12. Enter the date of birth of the customer in the Date of Birth text entry box. 13. Specify the gender category in the Gender field. 14. Enter the email address of the customer in the Email text entry box. 15. Enter the phone number of the customer in the Phone text entry box. 16. 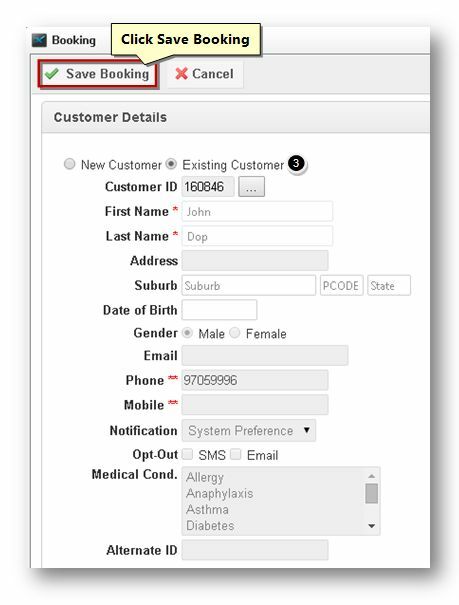 Enter the mobile number of the customer in the Mobile text entry box. 17. Select the type of the notification from the Notification drop down list. The available options are System Preference, Send SMS and Send Email. 18. Specify the Opt-Out type from the available options. The available options are SMS and Email. 19. Select the type of the medical condition if any, from the available list in the Medical Cond field. 20. Enter the alternate id in the Alternate ID text entry box. 21. In the Booking Details section, select the name of the sport from the Sport drop down list. 22. In the Courts field, check the box to select the required court for booking. 23. Select the starting time of booking from the Start Time clock. 24. Select the ending time of booking from the End Time clock. 25. Select the date of booking from the Date calendar. 26. Enter the fee amount in the Fee text entry box. 27. Enter the amount paid in the Amount Paid text entry box. 28. Select the color that you wish to use to notify this booking from the Color palette. 29. Enter the number of attendees in the Number of Attendees text entry box. 30. Enter the comments if any, in the Comments text entry box. 31. 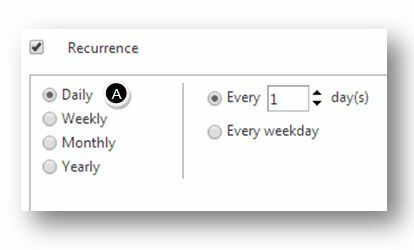 In the Recurrence section, specify whether the booking is recurring or not by checking or un-checking the box in the Recurrence option. 32. Specify the frequency of recurrence by checking the required option. The available options are Daily, Weekly, Monthly and Yearly. 33. Further, you can still specify the frequency of recurrence based on the period selected in the previous step. A. For Daily booking, you can specify the recurrence for every specific number of days or on every specific weekday. B. For Weekly booking, you can specify the recurrence for every specific number of weeks or on a specific day. C. For Monthly booking, you can specify the recurrence for every specific number of days for every specific number of months or the first/second/third/fourth day/weekday/weekend day/specific day in a specific month. D. For Yearly booking, you can specify the recurrence for every specific number of days for every specific month and day or the first/second/third/fourth day/weekday/weekend day/specific day in a specific month. 34. Similarly, specify the number of occurrences after which the booking can end or the exact date on which the booking can end. 35. Click the Save Booking button. The new booking will be created.